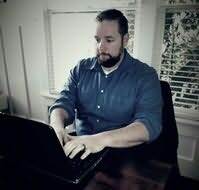 Jason Anspach is a best selling author living in Tacoma, Washington with his wife and their own legionnaire squad of seven (not a typo) children. In addition to science fiction, Jason is the author of the hit comedy-paranormal-historical-detective series, `til Death. Jason loves his family as well as hiking and camping throughout the beautiful Pacific Northwest. And Star Wars. He named as many of his kids after Obi Wan as possible, and knows that Han shot first. "Bruno and Castle built an epic fantasy world that captivates the imagination and brings the reading on a thrilling adventure that will leave the devotees of fantasy eager for the next tale."